As the student population evolves, so too does their demand from higher education, not only in terms of the service they receive but also in their end goals. Today’s learner is an adult continuously returning to college over the course of their career to upgrade their skills and competencies. To that end, a baccalaureate or master’s degree is no longer necessarily the credential students seek. More and more students are looking for short-term credentials, like certificates and certifications (among others), and colleges need to respond. Of course, managing these shorter-credential offerings requires institutions to have a different toolbox than one that only manages the pursuit of degrees. This Guide will outline the benefits of micro-credentials and digital badges for higher education institutions. In a battle for professional relevancy, higher education needs to shift away from a degree-only view to embrace the diversity (and enrollments) that come with offering alternative credentials. Non-traditional students seek credentials in order to increase their employability, but traditional credentials are no longer sufficient. 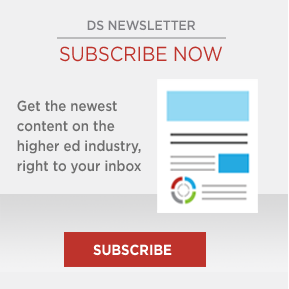 Use this executive guide to explore credentials in demand with non-traditional students. As students and industry look for credentials to communicate value, higher education must adapt beyond traditional degrees if they are to remain relevant. This 6-minute read will walk you through the specific pain points that Temple University solves by using Destiny One Software.